Prepare the nails by delicately pushing back the cuticles and lightly buffing the nail to remove the shine. Clean the nail plate with a cellulose pad soaked in cleaner. Carefully apply the keratin treatment and leave to air for a few seconds. To give the nails extra length, use the milky base coat. This will give a very natural baby-boomer effect to the application and add solidity. Apply a thin or a thicker layer of base coat depending on the nail, then polymerise for 30 seconds under the LED lamp and 60 seconds under the UV lamp. Remove the sticky layer with a cotton wipe soaked in cleaner. Apply the colour then polymerise. Apply the gloss coat and polymerise. 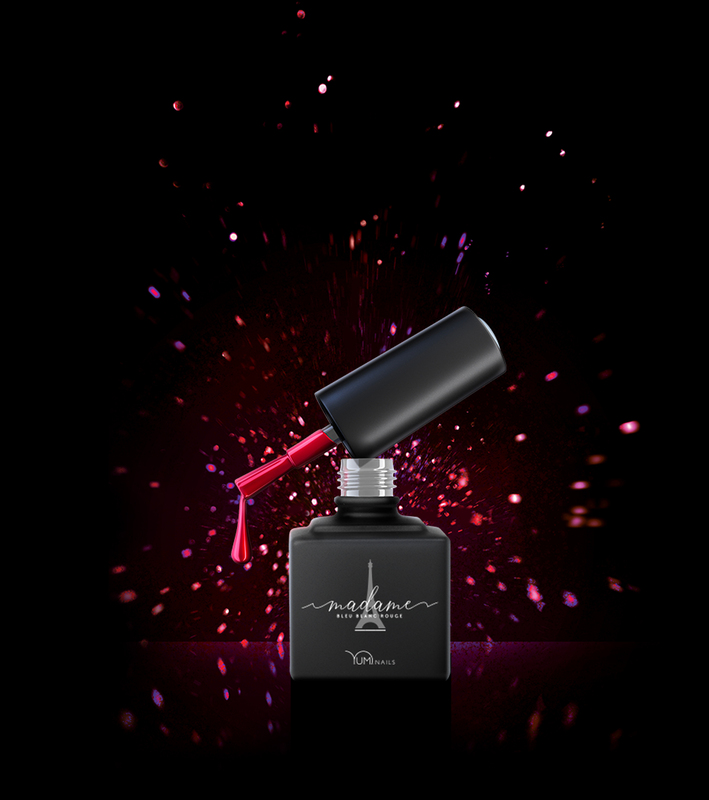 The result: the long-lasting Yumi Nails effect.